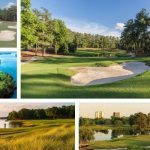 With the end of the Florida swing, the countdown to the Masters has well and truly begun for all golfing fans around the world. 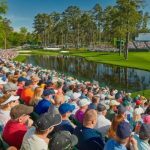 Following last week’s Arnold Palmer Invitational at Bay Hill the PGA Tour now heads to Austin, Texas for the WGC Dell Technologies Match Play where 61 of 64 of the world’s top ranked players all look to gain some all important momentum heading into Augusta. The tournament is one of the most exciting of the year away from the 4 majors as the break from the normal 72 hole stroke play format to players taking on each other 1 on 1 is golf in its purest form. And with some of the world’s best players battling it out at Austin Golf Club for the second year running it is sure to be one that any golf lover will not want to miss. The tournament made its inception on the tour in 1999 the WGC Match Play has had many different title sponsors that you may know it by from Accenture to Cadillac and now to Dell. The first ever tournament was held at La Costa Resort in California till 2006 with the exception of 2001 when it moved to the Metropolitan Golf Club in Victoria, Australia for the year. In 2007, The Gallery Golf Club in Marana, Arizona played host for 2 years before it moved The Golf Club at Dove Mountain between 2009 – 2014. In 2015, TPC Harding Park in San Francisco hosted the WGC Cadillac Match Play for 1 year before signing a 4 year deal with Austin Golf Club which begun in 2016. Each year the tournament features the biggest names from the golfing world and with the exception of the 2015 has always been held in late February or late March before the Masters and despite being considered a prelude to the year’s 1st Major no player has ever gone on to winning the masters having been victorious in the WGC Match Play. Number of players – top 64 golfers in the Official World Golf Ranking. The tournament is match play. From 2015, on wards the tournament starts out on Wednesday with 16 groups of 4 players playing each other in a round robin format. The winners of each group advance to a single-elimination bracket on the weekend, with the round of 16 and quarterfinals on Saturday. The semi finals are held on Sunday and so is the consolation match and the final. As previously mentioned the field at the WGC Dell Technologies Matchplay is one of the best of the year with all the game’s top players across both tours featuring. This year current world number 1, Dustin Johnson headlines the field after having won both of his last two starts on the tour since becoming the world’s best player and with his length off the tee, giving him arguably even more of an advantage in match play. History could be on Dustin’s side as well with 4 out of the 15 winners of the WGC Match Play being the world’s number 1 heading into the tournament. Defending champion and world number 3 Jason Day is also in with a chance heading into this year’s event. Day has won the tournament 2 times in the last 3 years so he clearly likes the match play format. Rory McIlroy will also be one to watch this year after 3 top 10s in his only 3 starts on the tour this calendar year. The Irishman also won the tournament back in 2015 and with his recent run of form he will be dangerous this week for sure. 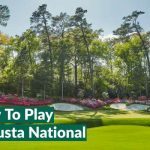 Other names to watch in the field this week are the likes of US Masters champions Danny Willett, Bubba Watson and Jordan Spieth who are all looking for a solid performance to set them in good stead heading to Augusta in just over 2 weeks time. This year will be the second on the trot that the WGC Dell Technologies Matchplay will be held at Austin Golf Club in Texas which was built in 1984. The Pete Dye designed course measures in at 7,108 yards and is stunning layout overlooking the glorious Lake Austin with the front nine on higher ground whilst the back nine runs through the lowlands. The course is renowned for having a lot of drop of areas meaning the players accuracy will be tested throughout the week both off the tee and in their approach play. Arguably the course’s signature hole is the 18th which has a fairway that slopes left to right and if players aren’t accurate with their tee shot they will have to play off a downhill lie over pot bunkers to get to the green. It will certainly be interesting to see how players cope with this tough finishing hole especially if their match has gone down to the wire. If picking a winner for a professional golf tournament is tough on a week to week basis, throwing the match play element into the mix makes it nigh on impossible. 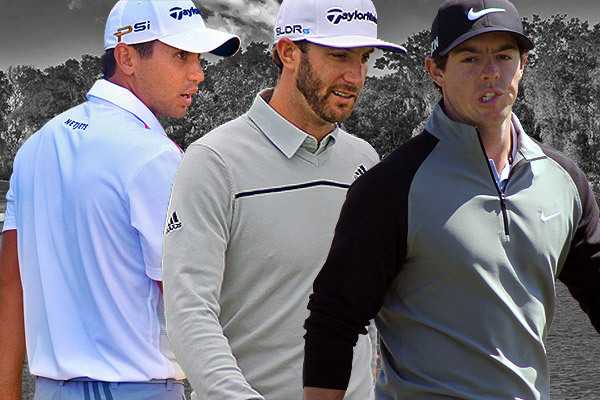 Match play can be a funny old game so what you’re looking for in a potential winner in Austin is a tonne of birdies and a taste for one on one combat. In Rory McIlroy you’ve got both. Rory’s run of form is good enough to make him favourite with the bookies heading to the WGC Match play, even ahead of Dustin Johnson who’ll be looking to become the 1st player to win 3 consecutive PGA Tour events since Rory himself did it in 2014. We all know McIlroy makes more than his fair share of birdies with his aggressive style of play previously proving useful in the match play format. Rory also proved his taste for going head to head with the world’s best with his explosive performance at last year’s Ryder Cup where only Captain America…wait…Patrick Reed sorry was more impressive. Rors hasn’t finished outside of the Top 10 in any event since the Ryder Cup either so if his putter behaves itself I’m backing him to be the last man standing come Sunday evening. Or to go out in the 1st round…who knows right?! Trying to pick a winner in match play is whole different animal compared to stroke play. Normally a players recent run of form or liking of a particular course will be a huge factor in determining how well they will do in a particular tournament. However, this is not the case this week in Austin as a stretch of bad holes in one round can leave you knocked out the competition and it is more a players love for going to toe to toe with the best which makes them good at match play. Short game wizard Phil Mickelson is my choice for this week as he is a man with bags of experience in both both WGC events and the game’s biggest match play tournament; The Ryder Cup, having played in 11. With his play a round the greens being one of the best in the world he is has the ability to put the ball close to the hole and if not in it from anywhere on the course meaning the pressure will surely be on his opponent to hole putts from all over the place giving him a massive advantage heading into this week. As we now get even closer to the Masters, the next few tournaments are crucial for players to get their form in shape for the 1st major of the year. This week, I am going to go with Paul Casey, he had a fantastic end to 2016, especially in the final four FedEx Cup championships and he is also looking very good in his start of the 2017 season. 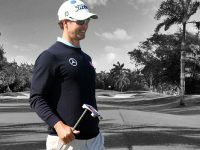 He may be an outsider, but he has plenty of experience playing stateside, so do not be surprised if you see him at top of the leader-board come Sunday afternoon and I also have got a good feeling we will see Paul at his best when the golfing world heads to Augusta National in a few weeks time. 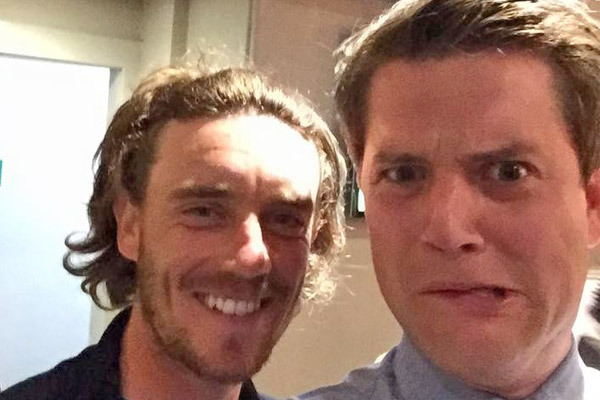 Photo Disclaimer – We’re big fans of Tommy Fleetwood in the office because of his likeness to YGT Rory. Tommy, being a true sport accepted my request of a photo because “he looked like a guy a work with”. Tommy has had an absolutely storming last few months, claiming the HSBC Abu Dhabi Golf Championships against a stellar field in the UAE and being right in the mix in the World Golf Championship Mexico, claiming 2nd place, just one shy of Dustin Johnson which included a barnstorming 66 to close the tournament. Fleetwood is a name well known in England golf having enjoyed a stellar amateur career which included a win in the English Amateur in 2010 and a place in the 2009 Walker Cup at Merion Golf Club. With so much amateur golf in the UK having a matchplay element to it, it shouldn’t be a surprise to see Fleetwood challenge again this week and at 50/1 he looks good value for money in what will no doubt be a closely contested event. January Betting Review: How did we do?